Azera is the epitome of sophistication, with an expressive exterior design, smooth ride and exceptional list of features that outshine the competition. Shoppers have a choice between two models, the Azera and Azera Limited, both of which are superior picks in the large sedan class. 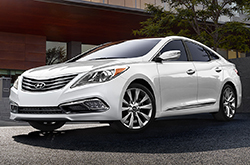 Standard features are bounteous even on the base 2016 Hyundai Azera in Arlington. It features content that many other competitors would charge extra for, including front and rear heated seats, a rearview camera, navigation, blind-spot monitoring with rear cross-traffic alert and Bluetooth connectivity, among many other noteworthy features. Take a look inside the Azera Limited and you'll find even more to love. It gets all the features on the base model and adds a panoramic sunroof, ambient interior lighting, an electronic parking brake, forward collision alert, lane departure warning and other must-have features. No 2016 Hyundai Azera review would disagree that the sedan is superiorly well-appointed and when you get to try out the car's amenities in person we're sure you'll be impressed. Stop by Vandergriff Hyundai to explore inventory and one of our sales professionals will give you a tutorial of all the lineup's features. Performance is another key aspect of the Azera, as well. 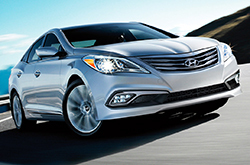 The Car Connection's 2016 Hyundai Azera review calls the car's powertrain strong and smooth. Under the hood there's a 3.3-liter V6 engine that's rated at 293 horsepower and 255 pound-feet of torque; the V6 is mated to a six-speed automatic transmission with SHIFTRONIC. From the inside out, Azera offers an attractive package of style and features. The exterior shows off automatic headlights, slick 18-inch wheels on the base model and 19-inch wheels on the Limited, foglights and Hyundai's Fluidic Sculpture design language, which results in a dramatic look that evokes motion and speed. Come see the 2016 Hyundai Azera in Arlington if you're in the market for a full-size sedan and feel free to call ahead to schedule your test drive! 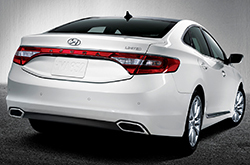 The 2016 Ford Taurus, Chrysler 300, Buick Lacrosse and the Toyota Avalon are no match for the 2016 Azera! Just compare Hyundai's most current model side-by-side with them and you'll learn that it scores higher than the competition easily. You'll be thankful for the Azera's long list of outstanding characteristics, including its affordable pricing and useful onboard technologies. You'll certainly see it's a fantastic value when you compare its price to competing vehicles. For more details about what it offers, check out the Azera's quick-facts list below. Does the Azera have what you want out of a vehicle? Check out Vandergriff Hyunadi's overview above, as well as other 2016 Hyundai reviews to find the right model for your traveling needs. It's a hassle to find hard facts about a multitude of cars in one spot. That's why it's OUR responsibility to offer reviews from expert auto critics, so you have access to these research tools on one site. Want to know about the 2016 Azera's safety technologies and other specs? As your Hyundai retailer, you can count on us for ultra-precise information. Not sure if the Azera? is a good choice for you? 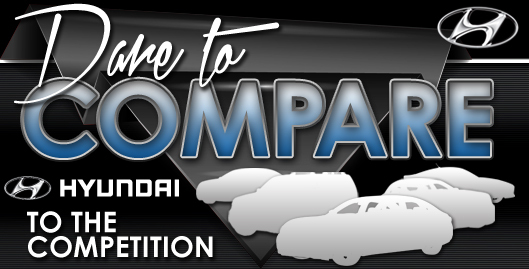 Check out our online research index page to read more Hyundai reviews and to compare Vandergriff Hyunadi's models to vehicles from other automakers.